Trade shows are a great way to get your business into the spotlight and nurture valuable relationships with suppliers, clients, and colleagues. After years of helping business owners make a lasting impression at the top trade shows in their respective industries, the team at Xibit Solutions compiled a list of the top trade shows based on factors like show attendance, exhibitors, locations, and more, so you can put your time and investment toward the shows that really count. For homebuilders, remodelers, and retailers, the National Association of Home Builders’ International Builders’ Show is a premier event for networking in the residential construction industry. As the largest event of its kind in America, this show regularly attracts over 1,500 of the top companies in the industry from over 30 countries, as well as 60,000 professionals, providing endless opportunities for networking and education. As experienced professionals in booth design and furnishing, Xibit Solutions is a natural choice to make booths that attract attention at the International Builders’ Show. The Shooting, Hunting and Outdoor Trade (SHOT) Show is the largest event in the world for those in the firearms, hunting, and outdoor industries. This show not only provides unparalleled access to the newest trends and technologies in the firearms industry through 16,000 exhibitors, but it also offers unique training and certification opportunities to improve your craft. Xibit Solutions has been at the forefront of it all, providing one-of-a-kind booth designs and trade show experiences that help businesses maximize the opportunity. From robotic dogs to automatic toilet foot warmers, the Consumer Electronics Show is the ideal spot for those who love gadgets and gizmos. In addition to keynote speakers and educational sessions revolving around technology trends, the Consumer Electronics Show brings over 180,000 creative and technical professionals from all over the world to share ideas about the future of the technology industry. From startups to industry leaders, the team at Xibit Solutions has crafted booth designs as innovative as the businesses themselves, ensuring a great first impression. The World of Concrete brings a powerful, connected network of professionals in the concrete and masonry industries together to share new products and innovations. With over 1,500 exhibits spread across more than 600,000 square feet of exhibit space, as well as dozens of educational seminars and networking events, this is a can’t-miss show for those in the concrete industry. Xibit Solutions has created numerous showstopping trade show booths for this event, allowing businesses to present themselves and their products in the best possible light. The American Academy of Orthopaedic Surgeons Annual Meeting brings together 14,000 domestic and international orthopedic surgeons and health care professionals to explore the new trends and innovations in the industry. With exhibits from over 700 companies and 30,000 attendees, including Academy Fellows and allied medical professionals, this event offers endless opportunities for networking and education in the orthopedic field. Xibit Solutions has helped plenty of exhibitors create professional, unique booth designs that attract throngs of crowds at this large event. The International Wireless Communications Expo is the leading event for communications technology professionals, offering a range of exhibits and educational sessions from cybersecurity and disaster communication to connectivity and network infrastructure. With over 7,000 industry professionals in one location and co-located events, this expo offers unprecedented access and opportunity for business exposure and growth. 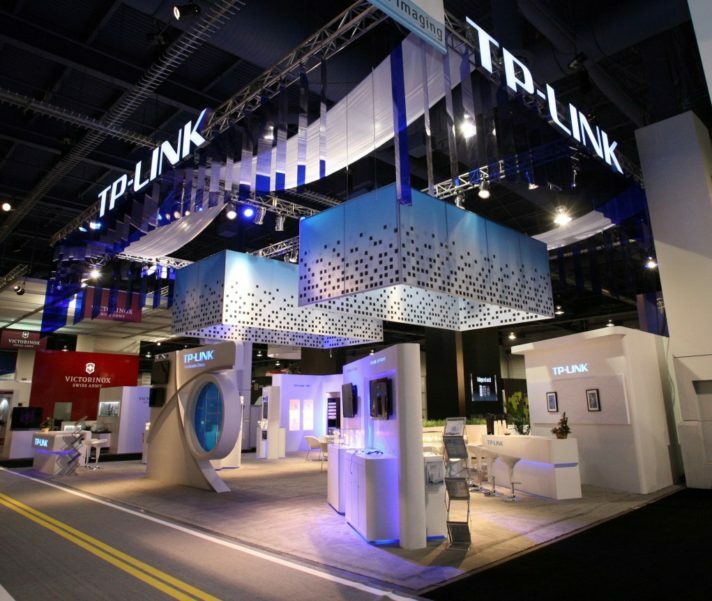 Xibit Solutions has been helping communications technology professionals create unique booth designs that are tech-forward and modern, making the best possible impression at this expo. The National Association of Broadcasters Show is an annual event for global visionaries to come together to share new and innovative ways to bring content to life. With over 100,000 attendees and 1,700 exhibitors from 160 countries, the National Association of Broadcasters Show allows professionals in advertising, audio, augmented reality, cable, and broadcasting to advance the art and business of content. Xibit Solutions has created some unique trade show booths to highlight innovative technology and help forward-thinking businesses to stand out at such a popular event. If you’re in the woodworking industry, the International Woodworking Show is the place to be. Hosted by the American Home Furnishings Alliance, this premier woodworking trade show brings together professionals in the building and construction industry to share innovations and ideas to improve the future of the industry. Spanning four days, this show regularly sees over 1,100 exhibitors in machinery, materials, services, and supplies, as well as over 27,000 attendees, all seeking to attract new clients. Our trade show exhibits at this popular show have been showstoppers, often attracting crowds in this busy environment. For businesses in the grain-based food industry, the International Baking Industry Exposition is a must-attend event that fosters valuable relationships among 23,000 professionals in every area of the baking industry who are looking to source new products, learn about trends, and create new opportunities in front of a global audience. With so many exhibitors, attendees, education sessions, and awards ceremonies, standing out can be a challenge — but we’ve consistently created colorful, modern booth designs that put businesses in the forefront and attract visitors. Based in High Point, North Carolina, the “Furniture Capital of the World,” the American Home Furnishings Alliance traces its history back to the North Carolina Case Workers Association. During World War II, furniture supplies were scarce, and this organization worked to prevent furniture manufacturing plants from shutting down for good.